Cryptocurrencies are plunging - but why? Cryptocurrencies are plunging – but why? Despite a huge rally in the fourth quarter of 2017, the prices of many cryptocurrencies — including Bitcoin —a re plunging. Starting 2017 at under $1,000, the price of Bitcoin rose gradually until around October, when the price began to skyrocket to a peak of $19,343.04 on December 16, 2017. Since then, the price has plummeted in a series of volatile slides, landing at a low just below $6,000 at the time of this article’s writing (it has since bounced back up to just over $8,000). Other cryptocurrencies, including newcomers like Ethereum, Ripple, Cardano, and Litecoin, are experiencing plunges as well, though none as severe or as hyped as that of Bitcoin. So what’s responsible for this sudden market reversal? And is this a sign that the price is beginning to stabilize, or is it just the next wave in a series of volatile, unpredictable market moves for digital currency? Before we can understand the fluctuations of cryptocurrency, we have to understand what cryptocurrency is at a base level. “Cryptocurrency” refers to any digital resource that’s used as a medium of exchange, usually with public and private hash keys in a technological system known as the blockchain. Multiple computers function as “nodes” within a blockchain system, and only when they collectively agree on a transaction’s legitimacy do they add that transaction as a “block” on the “chain” of historical transactions. Each node in the system has its own copy of the blockchain, serving as a virtual, decentralized ledger of exchanges, making the system highly secure. Bitcoin and other cryptocurrencies can be used like any other currency; you can buy products or services by paying a fixed amount to a seller (assuming they accept it), or you can invest in that currency as an asset, with the hopes of it eventually growing. There are a few ways to get ahold of cryptocurrency, including offering your device’s computational power to “mine” new coins, or more straightforwardly, buying cryptocurrency on dedicated exchanges. In this way, buying cryptocurrency functions similarly to buying stock on the stock market. So why is the price of cryptocurrencies so volatile, and why has it plummeted recently? Novelty. First, we need to bear in mind that cryptocurrencies are still a new investment — and an entirely new form of currency to consider. We have no historical models or previous examples that we can use to justify the price of the currency, so it’s more vulnerable to sweeping fluctuations. Nobody is quite sure what a “fair” price for the currency is, so there’s no strict upper limit for growth, and no correction seems “reasonable” to anticipate. In line with these qualities, individual investors may be more easily spooked by downward turns and more easily excited by upward swings, leading to more exaggerated activity. Investor hype and recognition. Investor hype is probably the biggest factor influencing the skyrocketing prices at the end of 2017. 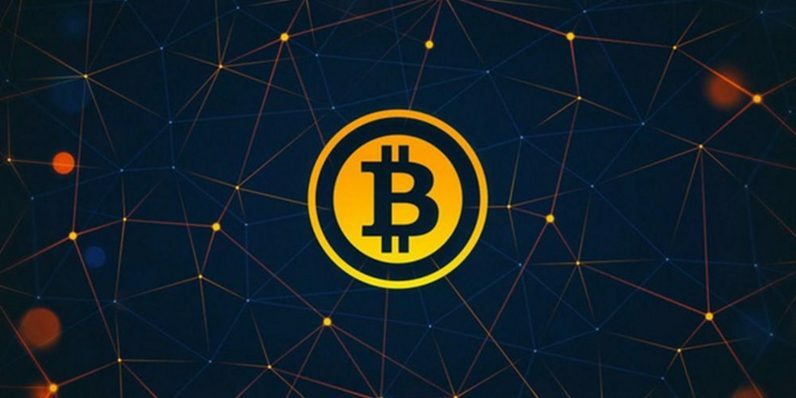 Relatively few people knew about Bitcoin at the end of 2016, but by mid-2017, most major news organizations had reported on the rising popularity of cryptocurrencies, and millions of investors began to dream about the possibilities of getting rich from a buy-in. The surge in interest drove prices up, and the new prices attracted even more investors to the field. This created a feedback loop that sent the price of Bitcoin to nearly $20,000, at which point many investors strove to recognize their gains, and people became wary that the price had grown too high. Accordingly, the downward dip could have manifested as a somewhat routine market correction — the only difference being muddier waters for what counts as a “fair” price for the asset. New coin emergence. Things are also complicated by the fact that Bitcoin is no longer the only cryptocurrency worth watching. Though it remains the dominant cryptocurrency in terms of market cap and overall coverage, other coins like Litecoin, Ethereum, and Monero are attracting significant attention in their own rights, and on a regular basis, there are new initial coin offerings (ICOs) introducing new coins to the market. This is making the market even more confusing for both amateur and professional investors, and is introducing more variables to a system that’s already uncertain and complex. Governmental action. Governmental action may also be related to the recent crash in price. Earlier this month, South Korean government authorities announced they were preparing to inspect a number of financial institutions under suspicion of money laundering practices. Though it’s a positive long-term step for currency stability, it was a temporary concern for cryptocurrency investors, since South Korea is one of its biggest trading grounds. After the news, cryptocurrencies cumulatively lost more than 15 percent of their value. Further government action, including new regulations, could similarly influence the price downward. Hacks and other news. Cryptocurrencies have also been in the news for reported hacks and other cybersecurity threats. For example, the crypto-mining marketplace NiceHash was recently the victim of a hack attempt that resulted in the theft of more than $60 million in Bitcoin. Other individuals have fallen victim to ICO (initial coin offering) schemes, and still others have been the victims of theft due to forgotten, misplaced, or phished passwords. Though none of these events indicate a lack of security for the cryptocurrency, they’re still a kind of bad PR, which could have cumulatively been responsible for the decline. So where can Bitcoin go from here? Though most opinionated economists would argue in favor of one possibility, the truth is prices could go anywhere; they could rise steadily after this temporary plummet, they could hover as they reach a fair valuation, or they could plummet even further. It all depends on how conditions change in the near future, and how consumers react to the news. In any case, it will likely be several years before cryptocurrencies begin to stabilize. For the time being, they’re too new to trade with much stability. If you’re interested in getting involved in cryptocurrency, make sure you understand the risks associated with the market before jumping in.